I’m not sure Thor (2011) was anyone’s favourite Marvel film. It was great, and I know it’s loved by a lot of people including myself, but I don’t think it was many people’s favourite. 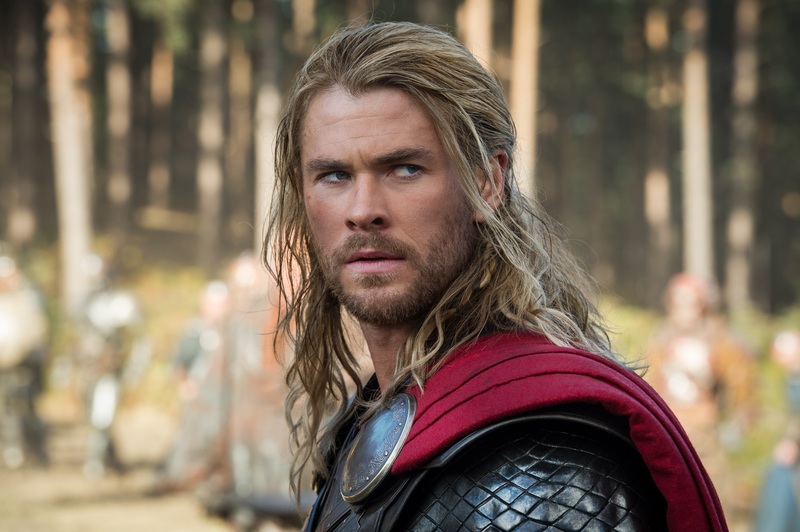 How does Thor: The Dark World compare to the rest of the Marvel movie universe? Thor 2 starts off with some heavy exposition, but it’s not too bad because it looks AWESOME. It’s about how Odin’s father Bor vanquished Malekith and his dark elves and it’s a really great scene with some brilliant special effects. After this we get our first glimpse of everyone’s favourite Tom Hiddleston as Loki, being sentenced for his crimes in New York. A lot of praise for this movie has been aimed at Tom Hiddleston, and yeah he great. But in some reviews it’s been said that the film is just crap when he isn’t on screen, IGN actually titled their review “NO LOKI, NO LIKEY”. Fine, Loki is great and his scenes with Thor (Chris Hemsworth) are really funny. But that doesn’t mean the rest of the movie should be discounted. Meanwhile on Earth, Jane Foster (Natalie Portman) is trying to get on with her life after being abandoned by Thor at the end of the first movie. But trouble just seems to keep finding her! Or she keeps finding trouble. She ends up getting a big helping of the “Aether”, the magical element Odin’s Dad had banished so many years earlier. This sets things into motion, Malekith is re-awakened and Thor returns to Earth. The performances in Thor 2 are great. Chris Hemsworth takes centre stage as Thor himself and is still the perfect choice for the proud Asgardian in my eyes. Tom Hiddleston is as awesome as you’ve no doubt heard as well. The supporting cast includes Natalie Portman as Jane Foster who is lovely, if not a little damsel in distress-y. Idris Elba finally gets his own action set-piece as Heimdall, as a ship attacks Asgard he jumps and climbs the side of it, taking it down single-handed. He doesn’t get much else to do but he got that bit, even if it was only me cheering in the cinema. One character who was unexpectedly hilarious was Stellan Skarsgård, returning here as Erik Selvig. He has some really funny lines and scenes, and I didn’t see it coming. That’s one thing that surprised me about Thor: The Dark World, how funny it is. It’s not quite as funny as Iron Man 3 but it’s still got some great laughs. It’s also directed by Alan Taylor, famous for directing some of the best episodes of Game of Thrones, so the battle scenes are suitably awesome. One disappointing thing about the film is Christopher Eccleston as Malekith. He’s really great when he’s on screen, he just feels underused. I think so much more could have been done with him as a villain. I mean, it’s great to see him on the big screen because I think he’s a great actor, it’s just that Malekith is a let down. My favourite scene in the movie was a scene between Loki and Thor and everyone’s favourite star-spangled man! Another great thing is that the majority of this film takes place on Asgard. This was my problem with the first one, it was difficult to care about what was happening on Earth when Asgard was so much more awesome. This film makes up for this and has so many great scenes on Asgard, it’s such a great environment that I’m glad they spent some real time there this time. Overall the film is great. Ignore what you’ve heard about the film only being good when Loki is on screen. That’s crap. I feel that his fangirls might not care about any part of the movie he’s not in, but that doesn’t mean you shouldn’t. It’s got a brilliant cast turning in some great performances, some genuinely hilarious lines and of course some magnificent action. Not to mention the tease for Guardians of the Galaxy mid way through the credits (featuring a very strange Benicio Del Toro….) It’s a real crowd-pleaser and I can’t think of anyone who wouldn’t enjoy it. Go see it! Great review Jack. Not perfect, but definitely better than a lot of other stand-alone Marvel superhero flicks can be, especially one coming right after the Avengers.